If your family were in the United States at any point in history, you may be able to locate them in these important resources. We've put together just a few highlights from our US collection, that you may not yet have explored, and that can help you take your American research further than ever. 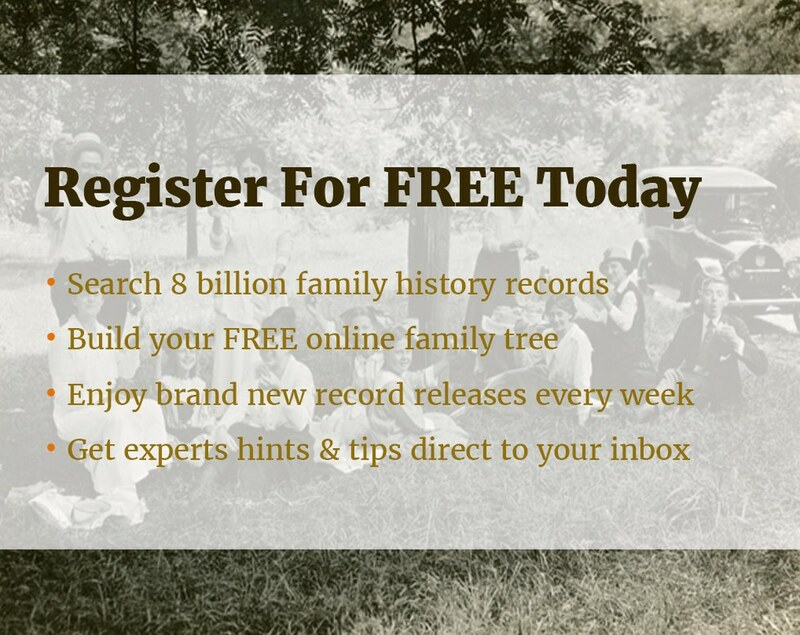 Whether you are just starting to examine the American branches of your family tree, or are a seasoned genealogist looking to build on what you already know, there may be something here for you. Without doubt a high point for Findmypast users in 2016 and 2017 is our collection of US marriage records. Spanning 350 years, the collection has almost total US coverage and the 450 million names contained in the record set are mostly exclusive to Findmypast. If you haven't explored the US marriage collection, make a start today. Our collection of United States Family Histories contains over 930,000 images taken from 3,926 family histories and genealogies from all 50 states as well as several locations overseas. These records can be searched by publication year, title, county, and state, page number and additional key words. The publications included have a particular emphasis on tracing the descendants of the early, colonial immigrants to the United States. Among these histories, you can find the majority of the families that make up the First Families of Virginia. While the information contained in these records requires verification from original records, these books are substantial resources for genealogists. For a detailed list of what's available, go to our A-Z of record sets and select United States & Canada from the country list on the left. Released in association with The National Archives, Britain, Registers Of Licences To Pass Beyond The Seas 1573-1677 records the details of pioneering early travellers who left Britain for Ireland, continental Europe, New England, Barbados, Bermuda and other overseas colonies at the dawn of the age of sail. If you're researching your earliest American ancestors, this record set could prove invaluable. It includes lists of soldiers who signed a statutory oath of allegiance before serving in the "Low Countries" between 1613 and 1633, licences for individuals travelling to Europe between 1573 and 1677, and registers pertaining to individuals travelling to the Americas between 1634 and 1639. The records showing passengers licensed to embark to the Americas are tremendously rare early survivals and record parties bound for colonies in Barbados, St Kitt's, New England, Maryland, Virginia and the Providence Island colony during the 1630s. United States, Canadian Border Crossings contains over 6.6 million highly detailed records. 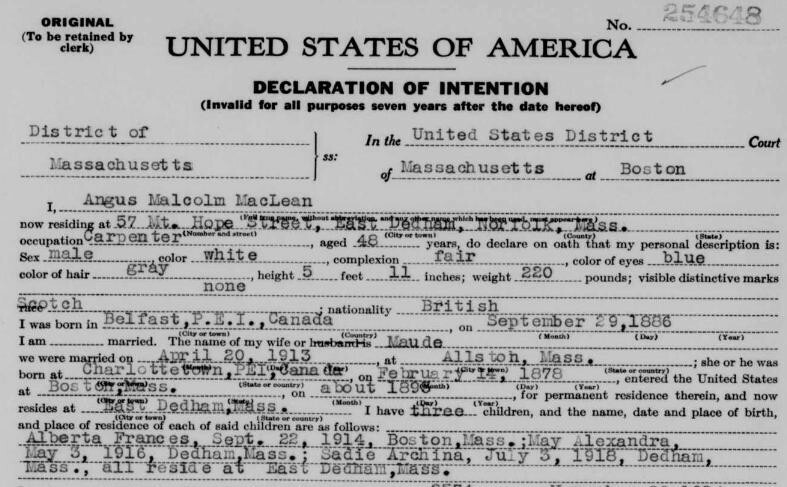 The collection is made up of four collections from the National Archives and Records Administration (NARA), including both indexes and passenger manifests of entries from Canada into the United States through St Albans, Vermont, between 1895 and 1954. Passage to Canada was generally less expensive than travelling directly to the United States. If you have been unable to discover how your ancestors arrived in the United States using other US travel and migration records, it could be because they chose to take this route. 1840 U.S. Census, Revolutionary War Veterans contains over 21,000 records of ex-servicemen and their next of kin who were receiving pensions in 1840 for service in the American Revolutionary War. On the back of the population schedules for the US 1840 census, enumerators recorded the living pensioners of the Revolutionary War as well as other military service. The lists also noted an individual's age and the name of the head of household in which the individual lived. United States Naturalization Petitions contains more than 7.8 million records spanning the years 1905 to 1950. The collection currently covers four states: Connecticut, Massachusetts, New York, and Pennsylvania, and allows you to discover when and where your immigrant ancestor was born, how old they were when they first crossed the Atlantic and their port of entry. Images of the original documents may even include a photograph of your ancestor. Discover when, where, and why your ancestors travelled with over 800,000 US Passport Application records. Applications may also include a physical description, your ancestor's occupation, residence, naturalisation details, the name of their spouse, date of birth and place of birth. Most applications are one to two pages in length and, from 21 December 1914 onward, photographs of applicants are also included. Photographs can be found on the second page when viewing images of the original document.